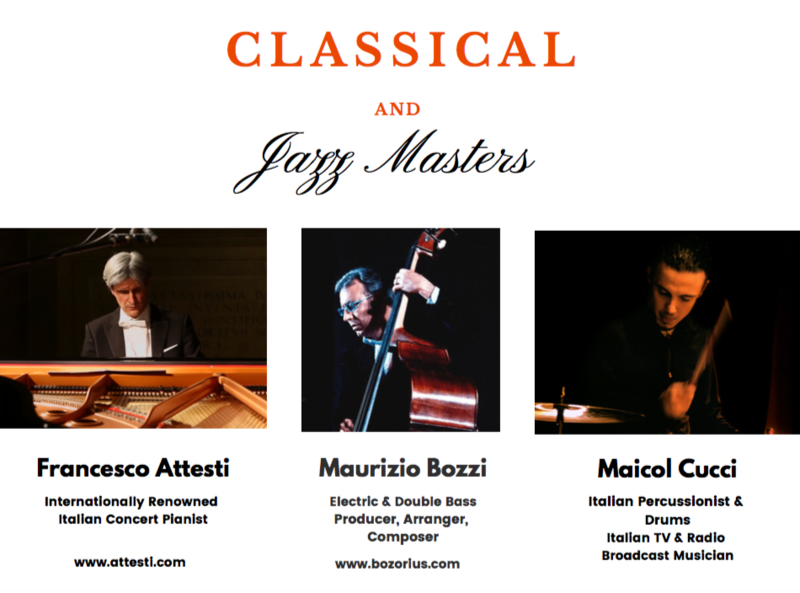 A Song of Hope will feature world renowned Italian artists Francesco Attesti, Maurizio Bozzi and Maicol Cucci. 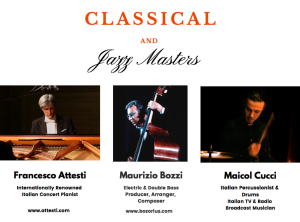 These three out-of-the-box classical and jazz masters are absolutely intent on letting classical music out of the box as they present an offering of “Classically Unclassical,” playing jazzified renditions of Bach, Piazzola and Mozart. These international recording artists and competition winners will thrill our Houston audience as we create awareness of Be the Peace – Be the Hope (www.bepeacebehope.org) a powerful Social & Emotional Learning and Healing Arts program proven to be a critical disruption of the violence and hopelessness trend overtaking our at-risk youth and underserved schools.